A 24″ deep porch that is ideal for covering wider front doors or patio doors. 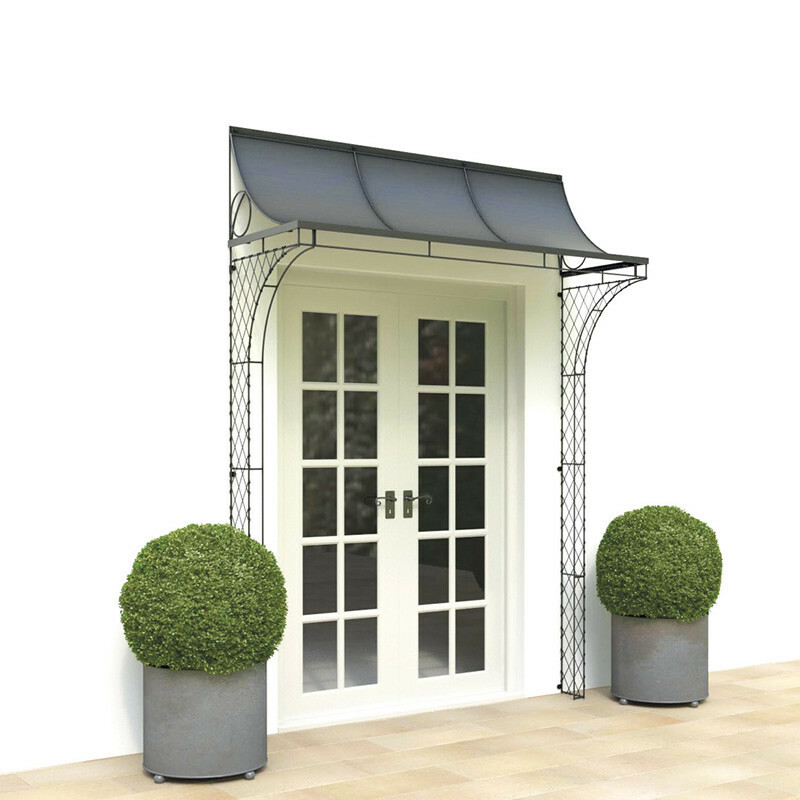 The curving wirework sides help to support twining plants without taking up too much space around the doorway. Any size made to order. Our aged galvanized porch protects the door from rain and matches the lead roof on our bay windows as perfectly as you said it would, thank you!